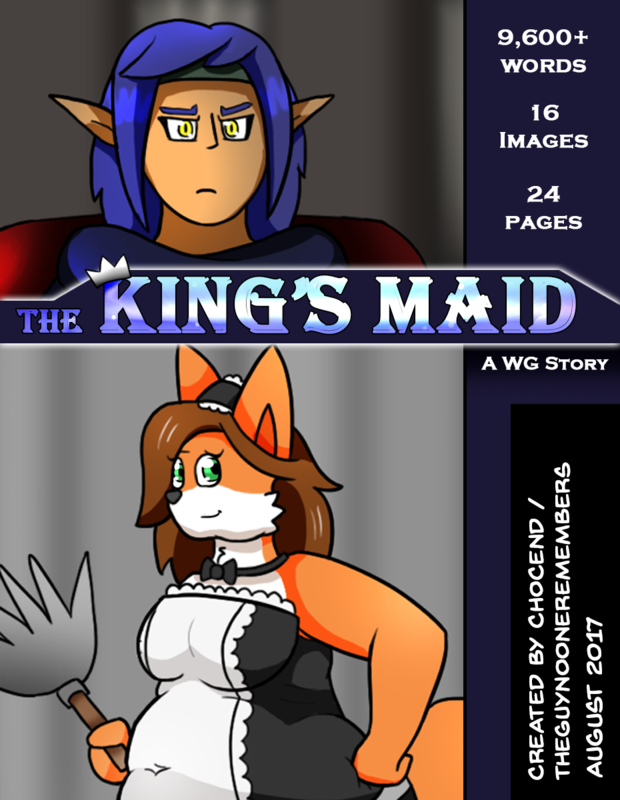 The King's Maid is a weight gain-themed story created by TheGuyNoOneRemembers. The story consists of 24 pages, more than 9,600 words, and 16 fully-colored images. Emily is a slender, 20-year-old vixen who desperately needs to earn money to keep attending the same dojo that she trains at every season. All of the jobs in her village are too difficult or too boring for her to do, so she decides to become the servant to a mysterious dragon living on Ignaigo Island, a land far away. Not only is she going to be servant to the king of all dragons, but she's about to find out how delicious food on Ignaigo can be! This story contains primarily weight gain, although it is heavy on character interaction and world-building as well. All characters and settings © TheGuyNoOneRemembers. Please do not use without permission.